Matthews’ Painting Company started pressure washing houses, decks, concrete, brick, and siding in the Warsaw, Winona Lake, Syracuse, Goshen, Columbia City, North Manchester, Leesburg, Lake Wawasee, Lake Tippecanoe and North Webster, Indiana areas over 20 years ago. Residential pressure washing of homes and businesses in the Warsaw and Syracuse Indiana area is nearly an every day event. Our Warsaw power washing services include power washing decks, vinyl and aluminum siding, cedar siding, brick homes, brick retaining walls and pavers, concrete driveways and sidewalks, cobblestone, pavers, piers, gutters, commercial businesses, and more! See bottom of page for the other cities we service. We know that power washing can be a frightful experience for a homeowner to think about. (See our blog entry on How to Pressure Wash Your House to see how extensive it is.) With the accessibility for anyone to buy a pressure washer and go into business for themselves, it is no wonder. 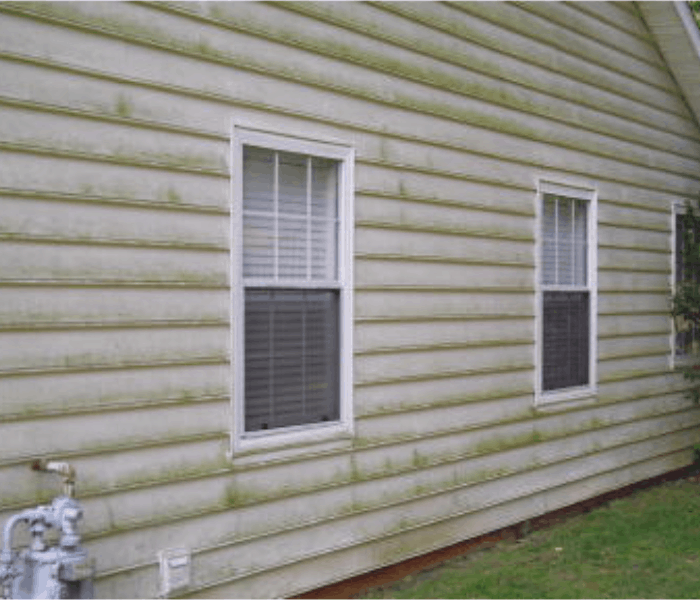 We have all seen deep grooves on siding or decks, or what looks like “cursive writing”, “graffiti”, veining or striping on decks or siding due to improper pressure washing techniques. Our power washing foremen extensively trains each of our employees in proper power washing protocol. This pressure washing training involves pressure washing set up, care and protection of your property prior to pressure washing, proper technique and distance when pressure washing, differences between hot water pressure washing and cold water pressure washing, and proper pressure and tip size usage depending on the surface to be pressure washed. All screens are removed ,or covered if permanent, to prevent them from getting damaged or stained by the pressure washing or chemicals. All windows are closed, locked, and periodically checked throughout the power washing process on your siding to make sure there are no leaks. All foliage is rinsed down before and after the application of the cleaning solution before the pressure washing is performed to eliminate the risk of damage. On vertical surfaces that are not getting painted or stained (i.e. 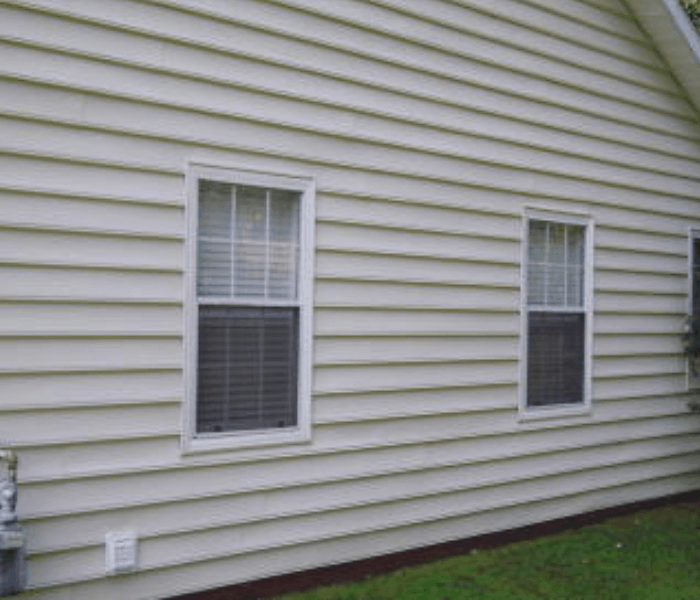 vinyl siding, aluminum siding, cedar siding), the cleaning solution is applied from bottom to top prior to power washing to prevent permanent chemical staining of the siding. For most pressure washing jobs, the pressure washing takes place from a consistent distance of approximately 10-12 inches away. We use a 40 degree fan tip and overlap 50% with each pass of the pressure washer. This style of pressure washing helps eliminate missed areas and ensures a consistently clean and streak free surface. After we power wash your home or business, windows and window frames are washed by hand at the end of the job and the screens are reinstalled. Contact us for a free pressure washing quote or call 574-834-3575.